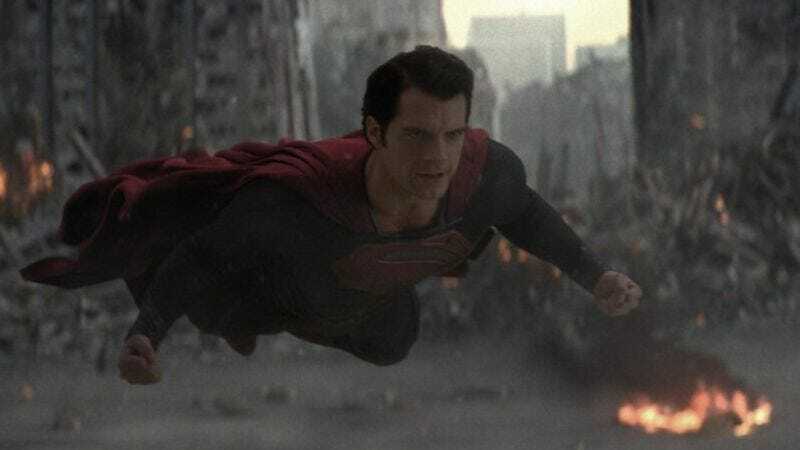 The overall impact, Watson says, “seemed to be similar to an air burst from a 20kt nuclear explosion in terms of shock effects, but without the radiation or thermal effects.” (But with the heartwarming effects of seeing Superman and Lois hug.) All told, he puts the cost of the physical damage for the film’s third act at $700 billion, with a total economic impact of around $2 trillion. And to put that in historical terms, 9/11 cost the relative chump-change of $55 billion in damages and $123 billion in economic impact, and that didn’t even end with anyone wrestling the bad guy. To put it in Man In Steel-appropriate terms, the carnage is equivalent to around 250 billion Cinn-A-Stack Pancakes from IHOP. But wasn’t it worth every penny and non-super human life so that Superman could learn to accept himself?